Bains Lower Elementary School Resource Officer Carey O’Brien recently swore in school safety patrol officers. All safety patrol officers pledge to serve their fellow students by ensuring that safety rules are followed. 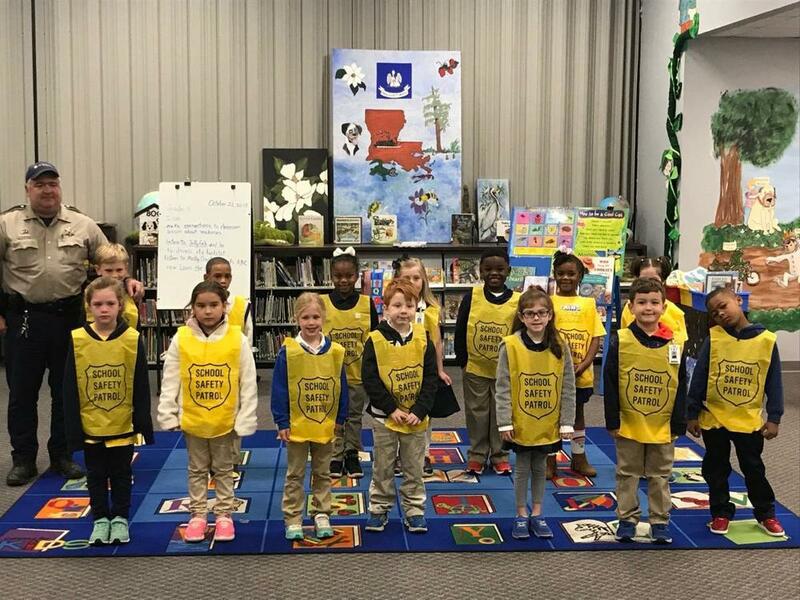 School safety officers at Bains Lower Elementary include, from left, front row, Graycee Nettles, Emma Ross, Brooklyn Triche, Eli Guillory, Emma Kate Bennett, William Kilcrease and Jacolby Davis; and back row School Resource Officer Carey O'Brien, John Hazlip, Chase Baker, Ka'Leah Cummings, Aurora Luneau, Gannon Ford , Chrissy Duncan and Nina Beauchump.